As the endowments at many of the country’s wealthiest private colleges and universities reach record values, two congressional committees that determine tax policy have opened an inquiry about how the schools manage and spend their funds. The Republican leadership of the Senate Finance Committee and the House Ways and Means Committee sent letters on Feb. 8 to 56 private schools with assets of more than $1 billion, citing their numerous tax preferences under the Internal Revenue Code. Letters were sent to Princeton University and all of the other Ivy League schools, Amherst College, Northwestern University, and numerous other schools across the country. Endowment wealth is heavily concentrated at the richest institutions. Nearly 11 percent of colleges hold almost three-quarters of all endowment wealth among the 832 institutions that participate in the annual endowment study by the National Association of College and University Business Officers. The 40 richest universities in the country have seen increases in their endowments that are more than double those at universities with fewer resources. As of the end of the last fiscal year. The congressional committees are looking into how these colleges and universities are using their vast endowment assets to fulfill their charitable and educational purposes. The letter seeks a wide range of information about investments, donations, naming rights, restricted gifts, conflict of interest policies, property investments, endowment spending policies, and the cost of managing endowments. Answers are due April 1. “I’m hopeful this process will allow us to learn more about how university endowments use their tax preferences to fulfill their charitable purposes,” Utah Senator Orrin Hatch said in a statement. Princeton University is preparing responses to meet the April 1 deadline, Acting Director of Media Relations Min Pullan confirmed. “We received a similar request from the Senate Finance committee about a decade ago and our response to that request is a matter of public record. We were pleased then to have an opportunity to describe how we use and manage our endowment and we welcome an opportunity to do that again in response to this letter,” she said. 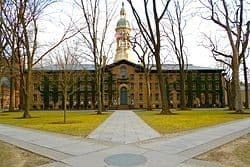 “The endowment plays a critical role in supporting our programs of teaching and research and a financial aid program that makes Princeton affordable to students from all income levels without requiring loans,” Pullan said, adding that the school will share its responses after the information is submitted. In 2008, a letter from the Senate Finance Committee prompted some of the wealthiest colleges to change their financial aid policies and offer no-loan financial aid to students from lower and middle-income families. The committee had asked 136 colleges with endowments of $500 million or more a series of questions about the funds’ payouts and student aid. Princeton University offers every aid recipient a financial aid package that replaces loans with grant aid that students do not pay back. For the 2015-16 academic year, the estimated amount of grants awarded to more than 3,100 students at the school will total about $140 million. About 60 percent of students receive financial aid. The average grant for the freshman class this academic year was $46,000. In 2014-15, the average aid grant covered 100 percent of tuition for freshmen receiving financial aid. About 83 percent of recent seniors graduated debt free. For seniors who borrowed, the average total indebtedness at graduation was $6,600. Princeton’s endowment was $22.7 billion at the end of the last fiscal year, up 12.7 percent from the previous fiscal year. The wealthiest colleges receive billions of dollars in tax benefits. The Congressional Research Service, which provides policy and legal analysis to committees and members of both the House and Senate, has suggested that the federal government could tax endowments or endowment earnings, or curb the tax benefits associated with making donations to wealthy endowments. Tom Reed, a Republican congressman from New York, has proposed a bill that would mandate endowments of more than $1 billion devote 25 percent of their annual investment income to reduce college costs for students from lower and middle-income families. Colleges who do not comply could lose their tax-exempt status. Because many wealthy institutions like Princeton have already reduced the net price for low- and middle-income families, some experts say required more spending on financial aid may benefit wealthy families the most. The scrutiny from the federal government regarding endowments and tax policies comes at a time when some people are also questioning policies regarding wealthy institutions and property taxes. In 2015, Princeton University paid the town of Princeton a $2.86 million voluntary contribution (payment in lieu of taxes), and paid $7.9 million in property taxes to the town, public school system, and county. A New Jersey judge recently ruled that a hospital in Morristown functioned like a hybrid for-profit and non-profit, and therefore must pay taxes on a portion of its property. Princeton University is currently the defendant in a lawsuit filed by a handful of residents challenging the school’s tax-exempt status for numerous properties. The case is expected to be heard by the judge in the fall. Gladwell did not find fault with how the money was spent, but questioned the sheer amount institutions with “country club” facilities have accumulated as students at most other colleges carry huge debt loads. He said schools like Princeton, Harvard and Yale should, at the very least, agree they do not deserve to have tax-exempt status for their endowments. I wonder if there is any other stash of US money this large that’s sheltered from taxes. why don’t they stop spending billions on war instead or going after the schools?